Ohio falls within a humid continental zone with cold winters and hot summers. Ohio gardeners often use landscape plants to add color and ornamental interest to lawns and gardens. If you live in Ohio, choose landscape plants according to intended use, mature size, bloom color and general culture. Many plant varieties perform well in Ohio landscapes. The shortleaf pine (Pinus echinata), a member of the Pinaceae plant family, naturally occurs across the state of Ohio. 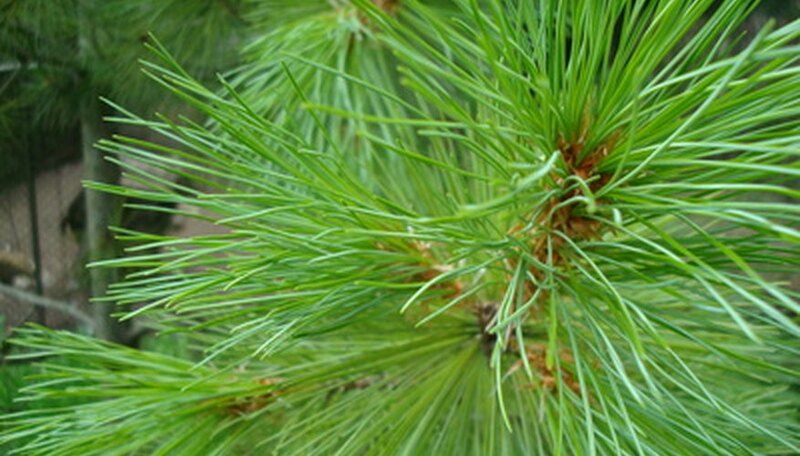 This pine variety features broad crowns, open branches and tufts of vibrant green needles. Yellow blossoms appear in February and March, followed by red-brown pine cones. Mature shortleaf pines range from 50 to 100 feet in height. These trees prefer dry, acidic soils in partly shady locations. Gardeners often use shortleaf pines along ravines and sandy bluffs. The winged sumac shrub (Rhus copallinum), also called the flameleaf sumac and the shining sumac, belongs to the Anacardiaceae plant family and generally reaches from 20 to 35 feet in height. Yellow-green blossoms appear in July and August, giving way to non-showy, edible, red fruit clusters that last throughout the winter. The deep green leaves turn red-purple shades in autumn. This shrub likes dry, rocky soils in partly to fully sunny locations. Ohio gardeners often plant the winged sumac in thickets, open woodlands and prairies. The cutleaf coneflower (Rudbeckia laciniata), sometimes called the green-head coneflower, adds color to Ohio landscapes from July through October. The flowers feature golden-yellow petals surrounding green-yellow central cones. This aster family member (Asteraceae) prefers moist, acidic soils in partly shady to full sun positions. Cutleaf coneflowers range from 3 to 12 feet in height. This perennial plant typically performs well in thickets, rich woodlands and wet fields. American bladdernuts (Staphylea trifolia), large shrubs or small trees in the Staphyleaceae plant family, range from 8 to 15 feet in height. This landscape plant bears deep green leaves, green-brown bark and clusters of bell-shaped, off-white flowers. These blossoms give way to fruit that emerges green but ripens to red-brown. This perennial plant prefers well-drained, moist soils in partial to full shade. Ohio gardeners often use the American bladdernut in moist woodlands and thickets. The trumpet creeper (Campsis radicans), also called the trumpet vine and the cow vine, naturally grows in old fields and moist woodlands across Ohio. This Bignoniaceae plant family member reaches up to 35 feet in length. The deep green leaves have paler undersides. Clusters of red, orange or yellow flowers bloom from June through September, followed by brown fruit pods. This perennial plant blooms best in well-drained soils that receive plenty of sunlight. The trumpet creeper performs well in hummingbird gardens and woodland gardens.